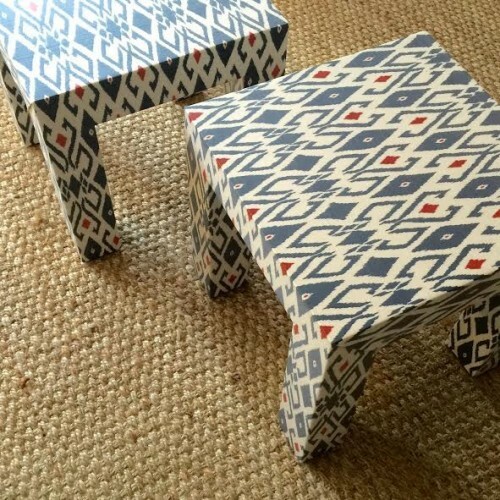 Look at this adorable pair of custom Parson’s tables we had made for a client’s children’s play room! We had the Quadrille fabric laminated before the fabric was applied to cover the tables, so it can hold up the spills and scratches expected with daily use from the kids. The tables will be right at home next to a navy sofa and fun blue and red throw pillows. I’m jealous of how stylish that play room is turning out!